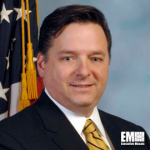 Trent Teyema, a former cybersecurity official at the FBI, has joined Parsons‘ federal business as senior vice president and chief technology officer. Parsons said Thursday Teyema will oversee research-and-development and customer engagement efforts related to the company’s intellectual property protection platforms and other technology offerings. The more than two-decade public sector veteran previously served as chief of cyber readiness at the FBI and director for cybersecurity policy at the White House. Teyema also worked as a criminal investigator for the U.S. Marshals Service earlier in his career.